The story of Japan's hidden Christians is the subject of a major motion picture by director Martin Scorsese, based on Shusaku Endo's famous novel, Silence. From the time the first Christian missionary arrived in Japan in 1549 to when a nationwide ban was issued in 1614, over 300,000 Japanese were converted to Christianity. A vicious campaign of persecution forced the faithful to go underground. For seven generations, Hidden Christians—or Kirishitan—preserved a faith that was strictly forbidden on pain of death. Illiterate peasants handed down the Catholicism that had been taught to their ancestors despite having no Bible or contact with the outside world. Just as remarkably, descendants of the Hidden Christians continue to this day to practice their own religion, refusing to rejoin the Catholic Church. Why? And what is it about Christianity that is so antagonistic to Japanese culture? 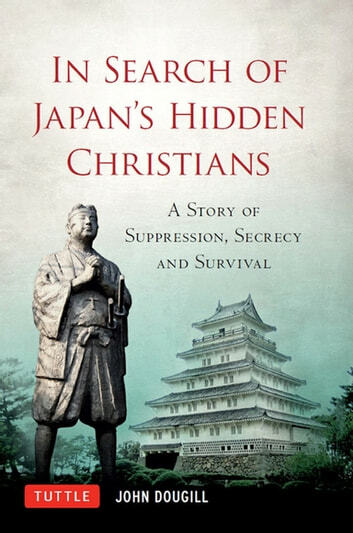 In Search of Japan's Hidden Christians is an attempt to answer these questions. A journey in both space and time, In Search of Japan's Hidden Christians recounts a clash of civilizations—of East and West—that resonates to this day and offers insights about the tenacity of belief and unchanging aspects of Japanese culture.